Marie K. Shanahan is an associate professor of journalism at the University of Connecticut. Her academic research and teaching focus on the intersection of journalism and digital communication technology. Shanahan studies trends in digital discourse, online commenting on news sites and on social media, online reputation, digital news ethics and local news engagement. Her first academic book, Journalism, Online Comments, and the Future of Public Discourse, was published by Routledge/ Taylor & Francis in September 2017. Shanahan’s research has also been published by The Poynter Institute, Columbia Journalism Review, The Chronicle of Higher Education, The Conversation and The Hartford Courant. Her writing has appeared in Newsweek, Salon and Christian Science Monitor. Shanahan’s interest in the possibilities of interactive media led her away from an early career as a print newspaper reporter to the digital side of news. After working for five years as a city desk reporter at The Hartford Courant, Shanahan transitioned into a digital news producer and online editor. Her award-winning work at courant.com and ctnow.com involved expanding the presentation, interactivity and usability of online news content, training members of the newsroom in best practices of digital journalism and engaging audiences through social networking. 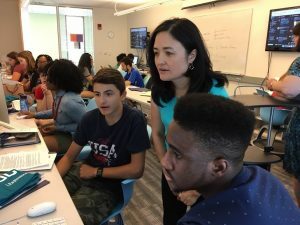 She has served as a volunteer editor with the Asian American Journalists Association (AAJA) student newspaper project, as well as with the high school journalism summer camps hosted by the Connecticut Health Investigative Team. Prior to UConn, Shanahan taught online journalism as an adjunct for Quinnipiac University’s Graduate Journalism Program. 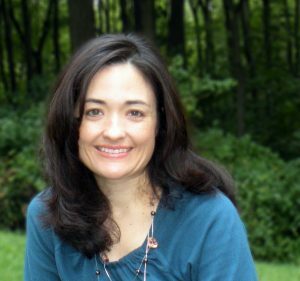 In July 2010, AOL hired Shanahan as a Connecticut Regional Editor for Patch.com, where she was responsible for recruitment, development and management of a dozen local news websites in north central Connecticut. Shanahan serves on the non-profit board of directors of the Connecticut Health Investigative Team, Connecticut Foundation for Open Government and The Connecticut News Project. She is a former regional judge for the prestigious Livingston Awards for Young Journalists. She served as a national judge for the Society of Professional Journalists Sigma Delta Chi Awards and an evaluator for Online Journalism Awards. Shanahan holds a bachelor’s degree in Journalism and History from UConn, and a master’s degree in Interactive Communications from Quinnipiac. She is member of AAJA, SPJ, Online News Association, American Society of News Editors and American Society of Journalists & Authors.